required for all their air pollution control equipment needs. Our values define how we do business and interact with our partners & customers. Here at WCI, we are committed to achieving the highest standards for air pollution control and the environment on which we have an impact. WCI offers a wide range of services from consulting & construction to inspection services. We provide the knowledge and necessary skills required for all your air quality needs. 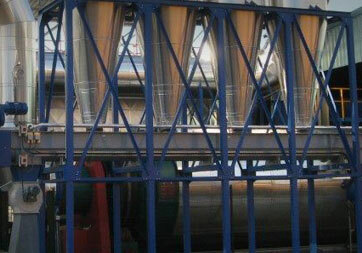 The leader in air pollution control industry services. 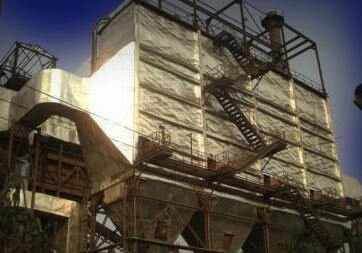 WCI designs each ESP with the knowledge gained by maintaining, repairing, and rebuilding precipitators since 1986. Reverse air, shaking, pulse jet, and sonic, we use several types of bag cleaning mechanisms used to remove the caked particles from the filter bags. WCI can provide material for most common conveyor systems including shaking, reverse air, pulse jet, and sonic mechanisms. WCI utilizes a skilled and energetic team to man every job. 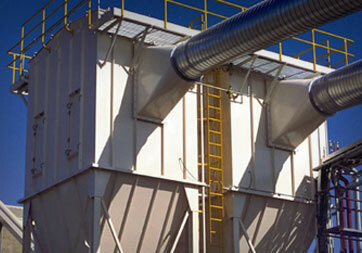 We have the best and most knowledgeable employees in the electrostatic precipitator industry. "We do what we say 100% of the time!" We are a turnkey solution. We provide high quality precipitator materials, maintenance and repair solutions covering multiple industries including power plants, cement plants, paper and steel mills. "Thank you for making our construction project such a great success. There was a lot riding on the project, and your team made it a real pleasure. The WCI team handled each challenge extremely well, from the tight schedule to our demands on how to handle the construction schedule." "I've never had more respect for a contractor as I have for WCI... honest, organized, hard working, conscientious, client oriented, and capable of producing quality workmanship in a timely manner which exceeds the standard of the industry." "I have personally been involved in both new construction and rebuild projects and never have I worked with any conctruction contractor that was so organized, professional and on the money!"